Maersk Drilling's four newest rigs have been custom-designed to set new industry standards within the category of 350 ft. jack-up rigs. Compared to standard jack-ups, they operate with increased efficiency and incorporate a host of improved technical capabilities. This allows for faster drilling processes, faster in-field rig moves and many other operational advantages. The high efficiency rigs brilliantly reflect our strategic commitment to developing advanced equipment and move boundaries within the offshore drilling industry. Blue Marlin is the largest cargo transport ship in the world. It can carry up to 75,000 tonnes, measures 712 ft long and 138 ft deep, and has a deck the size of two football pitches. The deck is submersible and can be lowered 13 meters under the water's surface. The cargo is then floated into position before the deck raises by emptying its ballast tank. Blue Marlin set a record when it delivered the world's largest offshore structure, BP's Thunder Horse oil rig, to Mexico from Korea. Its next voyage will see it carry an aircraft carrier from Spain to Australia. 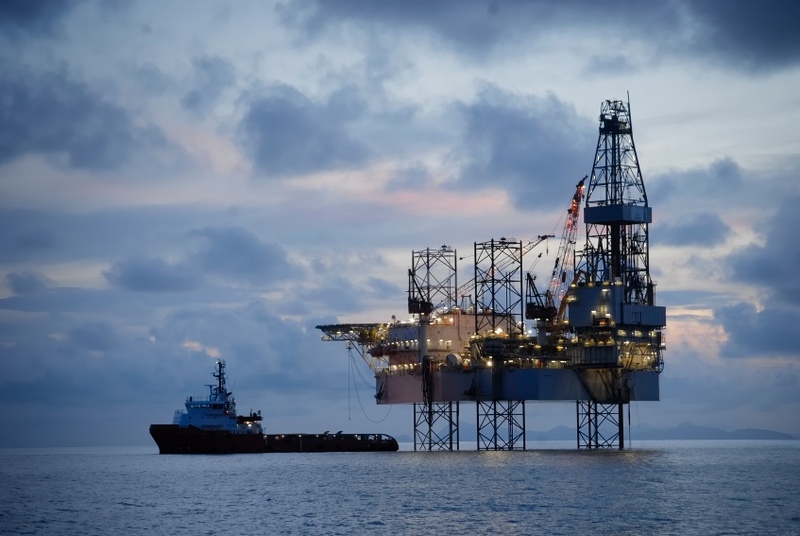 An oil platform, also referred to as an offshore platform or, somewhat incorrectly, oil rig, is a large structure with facilities to drill wells, to extract and process oil and natural gas, and to temporarily store product until it can be brought to shore for refining and marketing. In many cases, the platform contains facilities to house the workforce as well. Depending on the circumstances, the platform may be fixed to the ocean floor, may consist of an artificial island, or may float. Perdido's hull and platform weigh around 55,000 tonnes — the decks alone are as big as two football fields — and it is moored in about 2,450 metres of water. The scale of the project demanded international expertise, with equipment brought in from around the world. An offshore platform, also referred to as an oil platform or oil rig, is a lаrge structure with facilities to drill wells and extract and process oil and natural gas and export the products to shore. 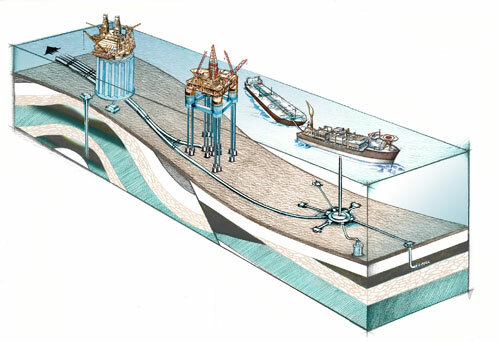 Remote subsea wells may also be connected to a platform by flow lines and by umbilical connections; these subsea solutions may consist of single wells or of a manifold centre for multiple wells. A compilation of pictures on an oil rig I was on for some time. Semi-submersible. At work on an offshore oil rig in Azerbaijan. Rig life. This video gives people that have never been on a rig a taste of what it is like.